Solar News: Salamon (OTCQB:SLMU) Announces Agreement to Acquire Solar Samoa Ltd.
LAS VEGAS, NV - April 30, 2012 (Investorideas.com renewable energy newswire) Salamon Group, Inc. (OTCQB: SLMU), a leading edge green energy company, is pleased to announce that it has agreed to expand its ownership of Solar Samoa Ltd. by purchasing the balance of Solar Samoa Ltd., a Samoa-based solar energy company that possesses a pipeline of solar projects that Eco Energy and its partners have been developing. The first Solar Samoa Ltd. project is a 4.5MW project and is expected to generate total first year revenues of approximately $2.5 million US dollars. The 20 year outlook for the first Solar Samoa Ltd. system is approximate gross revenues of $70MM and net cashflow estimated at $18MM over its life. "The signing of this agreement is another step forward in the Company's strategy to expand and become a global player in the solar power industry," said Michael Matvieshen, CEO. "We are very excited to have the opportunity to acquire the balance of this company in Samoa and to provide reliable, cost efficient and clean renewable energy to its citizens of Samoa, as we continue to establish ourselves as a global solar energy provider. These solar installations will be designed, built and managed by Sunlogics Power Fund." Mr. Bingle, the newly appointed President, noted, "The opportunity for Solar in Samoa enhances the company profile in the global solar market place. The Samoa opportunity allows Salamon Group, Inc. to draw on our world class solar experts that we have brought under our umbrella with the acquisitions of Arise Technologies, ECO Energy Solutions, as well as our strategic relationship with China Triumph." Salamon Group, Inc., through its Sunlogics Power Fund Management Inc. division, is a solar energy project company specializing in the construction, management and acquisition of renewable energy power projects. Sunlogics Power also looks to acquire assets and other companies in the solar and renewable energy space that are a strategic fit. Sunlogics Power is also a project-acquiring partner of Sunlogics Plc and its Subsidiary as well as other third party project developers. SLMU cautions that statements made in press releases constitute forward-looking statements, and makes no guarantees of future performances and actual results/developments may differ materially from projections in forward-looking statements. Forward-looking statements are based on estimates and opinions of management at the time statements are made. New York, NY - April 26, 2012 - Investorideas.com renewable energy/green newswire) Investorideas.com, a leader in renewable energy and cleantech stock research, releases a trading alert for NF Energy Saving Corporation (NASDAQ: NFEC) trading at $2.32, up 0.44(23.40%) on over 1.7 million shares. Following on the heels of another China cleantech stock, yesterdays leading NASDAQ gainer, Cleantech Solutions International Inc. (NASDAQ:CLNT) increased $1.71 (44.65%) to close at $5.54 The stock has gained over 161% since the beginning of this month without any official news. NF Energy Saving Corporation (NASDAQ: NFEC) is an energy saving services and solutions provider for China's power, petrochemical, coal, metallurgy, construction, and municipal infrastructure development industries. The stock has moved in today’s trading on no apparent news. The stock was featured in a Seeking Alpha article April 12th. New York, NY, - April 20, 2012 – (Investorideas.com renewable energy/green newswire) Investorideas.com, a leader in renewable energy sector research for independent investors, issues a trading alert for Pacific Ethanol, Inc. (Nasdaq: PEIX) trading at $1.0199 , up 0.1691(19.88%) as of 2:39PM EDT on over 6.3Million shares . The stock has traded as high as $1.09 in today’s session and has a 52-week high of $3.71. New York, NY - April 19, 2012 – Investorideas.com, a leader in sector research including water stocks and energy stocks , publishes the new company profile for Oceanic Environmental Solutions (OES), a private Canadian company focused on bringing water remediation solutions to oil and gas markets. OES' Proprietary Enhanced Induced Air Flotation system is used independently or in conjunction with other water management solutions, which provides overall lower CAPEX and OPEX for their clients. LAS VEGAS, NV - April 19, 2012 (Investorideas.com renewable energy newswire) Salamon Group, Inc. (OTCQB: SLMU) and General Motors Company (NYSE:GM) - Salamon Group, Inc. stated Thursday that it has initiated the first phase of its roof top solar installation in Williamson County Tennessee. These projects have total combined revenues of $3.3M over the life of the contract, and yields a levered IRR of approximately 25% for the company. The first phase consists of three installations, the first of three installations have now received final TVA-NES approval these project are expected to be completed by May 28 2012. Each Solar system in the first phase has an output of 200KW, totaling 600KW. The Company plans to continue building out the remaining 20 rooftops later this spring. CEO Michael Matvieshen stated, "We have now started pulling construction permits for Brentwood MS, Brentwood HS, Edmondson ES in Williamson County Tennessee. I am pleased that these project's have now been initiated and have received their approvals to get underway. Building solar power systems on these types of public sector rooftops is one of the Company's Key strategic solar verticals." Sunlogics PLC majority partner and shareholder is General Motors Company (NYSE:GM). Sunlogics Power Fund Controls 30% of Sunlogics PLC. http://www.sunlogics.com. New York, NY - April 17, 2012 - www.InvestorIdeas.com, a global investor research portal specializing in sector research for independent investors issues a renewable energy stock alert for EnerNOC, Inc. (NasdaqGS: ENOC) trading at $7.26 , up 0.75 (11.52%) as of 11:03AM EDT . The stock moved on news that that National Grid selected EnerNOC's technology and services platform to manage natural gas consumption at approximately 4,000 commercial, institutional, and industrial customer sites in Brooklyn and Queens. EnerNOC Utility Solutions has teamed with hundreds of utilities and grid operators worldwide to meet their demand-side management objectives. Our Program Implementation group partners with leading utilities to deliver custom-tailored demand response and energy efficiency programs designed to maximize both cost-effectiveness and customer satisfaction within the commercial, industrial, and agricultural market segments. Our Consulting Services group supports a broad range of utility demand-side management activities, including potential assessments, program design and administration, load research, technology demonstrations, measurement and evaluation, and regulatory support. EnerNOC leverages its experience working with thousands of commercial, institutional, industrial, and agricultural sites, its SMART suite of energy management solutions, and its Network Operations Center (NOC), to deliver reliable load reductions and millions of kilowatt hours of energy savings each year. For more information, visit www.enernoc.com. InvestorIdeas.com is a leader in investor stock research by sector. Sectors we cover include; water and renewable energy stocks, biotech stocks, mining and gold stocks, energy stocks, natural gas stocks, tech (includes cloud and social networking), defense stocks, nanotech, China stocks and agriculture. LAS VEGAS, NV - April 17, 2012 (Investorideas.com renewable energy newswire) Salamon Group, Inc. (OTCQB: SLMU) has sent a letter of offer to the board of directors and the Company's Registration Offices (CRO) of Energy Conversion Devices (ENERQ). This offer is for up to 100% of all issued and outstanding shares of the Company. The offer is in exchange for up to 5 million shares of Salamon Group, Inc. (SLMU). Energy Conversion loss-carry forwards are over $1 billion USD. The transaction as contemplated, would complete after receipt of all corporate documentation for SGI to perform final due diligence and would be subject to relevant SEC regulations and requirements. Michael Matvieshen, CEO, SLMU, stated, "We believe this type transaction would have a positive impact on our business model." He went on to say, "A bank of loss-carry forwards is a valuable asset, if they are acquired for the right price. Energy Conversion shareholders are currently set to receive nothing but a total loss because of the Chapter 11 filing. The current Energy Conversion shareholders position based on the Chapter 11 disposition of assets receive nothing. Our offer allows shareholders of ENERQ to have an opportunity to recover value that they would not be able to with their current holdings because of the Chapter 11 filing." Salamon Group, Inc. and its Sunlogics Power Fund Management, Inc. division, is a solar and renewable energy company specializing in the acquisition, construction and management of renewable energy power projects and companies. It is a project-acquiring partner of Sunlogics Plc and its subsidiary as well as other third party project developers. The Company also takes positions in other solar and renewable energy project producing companies that are a strategic fit within the Company's overall strategy. New York, NY – April13, 2012 - Investorideas.com, an investor research portal specializing in sector research including cleantech and renewable energy stocks issues an investor news update for TSX and TSX Venture stocks in the sector reporting news this week. Westport Innovations Inc. (TSX:WPT / NASDAQ:WPRT )announced today that shareholders have approved all resolutions presented at its Annual and Special Meeting held on April 12, including the election of directors of Westport for the next year; the amendment of the Corporation's articles of incorporation to allow for meetings of shareholders to be permitted in such location as the directors of the Corporation may determine; the amendment of the Corporation's Omnibus Incentive Plan; and the appointment of auditors for Westport for the next year and the authorization of the directors to fix their remuneration. GWR Global Water Resources Corp. (TSX: GWR.TO ) announced earlier this week that Global Water President and CEO Trevor Hill will be presenting at the Smart Water Systems forum in London , UK, at the Copthorne Tara Hotel on April 16-17, 2012. Along with industry and thought leaders from the sector, Mr. Hill will be speaking on "Bringing The Consumer Into The Smart Grid For Water - Strategies For Engaging The Consumer In Conservation". The stock has a 52 week range of: $2.71 - 7.60. Sprott Power Corp. (TSX: SPZ.TO ), announced on Tuesday that it will hold its annual and special meeting of shareholders on May 15, 2012 at 10:00AM at its offices at Royal Bank Plaza, South Tower, and 200 Bay Street, Suite 2700, Toronto, Ontario. The stock is trading at $0.82, down 0.02(2.38%) on over 200,000 shares. Earlier this week the sector got a boost from news of new $100-million cleantech fund investing in energy, water and green innovations, a joint venture of SAIL Venture Partners, and Stifel Nicolaus Canada Inc.
New York, NY - April 13, 2012 (Investorideas.com water stocks newswire) Investorideas.com, a leader in sector research including water stocks issues a trading alert for water stock Primo Water Corporation (NasdaqGM:PRMW), trading at $2.07, up 0.47(29.53%) 10:46AM EDT on over 2.4 Million shares. Primo is the top percentage gainer on NASDAQ in the morning session. The Company reported today it has received a commitment from a senior lender to enter into a new long-term $20 million senior revolving credit facility. Also, the Company expects to close a term loan for up to an additional $15 million with a separate lender, secured by certain fixed assets of the Company. Primo Water Corporation (Nasdaq:PRMW) is a leading provider of water dispensers, environmentally responsible bulk bottled water and premier sparkling beverage appliances sold through major retailers throughout the United States and Canada. Learn more about Primo Water at www.primowater.com and www.primoflavorstation.com. LAS VEGAS, NV - April 13, 2012 (Investorideas.com renewable energy newswire) Salamon Group, Inc. (OTCQB: SLMU) announces that Sunlogics Power, its wholly owned subsidiary (www.sunlogicspowerfund.com), has successfully completed final closing documentation on Eco Energy Solutions Pty Limited (ECO) in exchange for 8 million shares of Salamon Group, Inc. (SGI). The transaction was valued at 8 million dollars. Eco Energy is a successful Australian-based renewable energy company with revenues of approximately 13 million USD and an EBITA of $0.960 million for year ending 2011 and ECO is on track to exceed those numbers this year. This transaction is immediately accretive to Salamon Group. ECO shareholders have agreed to take secured debt against ECO and its assets until the Authorized capital in Salamon Group, Inc. has been increase to allow for the conversion into equity. At the end of February 2012 Eco Energy had installed 2,630 domestic systems through its contracts which started in May 2010. The contracts cover all of the state of Tasmania and all of central Victoria. Michael Matvieshen, CEO, Salamon Group, commented, "Eco brings value to our shareholders in several ways which include the experience it has in the southern hemisphere for renewable energy project development. With its vast array of contacts, it opens up a very large and lucrative market for us. Together we expect to have a real and competitive footprint in these rapidly expanding markets." Additionally, Mr. Gary Yost, the Managing Director of Eco Energy, will assume a seat on the Board of Directors of Sunlogics Power Fund and Salamon Group. Mr. Yost brings industry experience and contacts that have allowed him to create a "one stop shop" methodology to take any project from conception through to design, supply, installation and commissioning. Mr. Yost has overseen the growth of a client base that includes all levels of government, private and public utilities and projects that meet the needs of commercial and individual clients, as well as a number of overseas projects. Mr. Matvieshen, CEO, Salamon Group, further stated, "It's excellent to be working with Gary as he has built a company from the ground up. He understands the business challenges and will be a valuable member of our 'go to market' team worldwide." ECO will in turn benefit from SGIs' business synergies, such as accessing the CTIEC relationship and the financing investment banking relationships that are already in place at SGI. LAS VEGAS, NV - April 12, 2012 (Investorideas.com renewable energy newswire) Salamon Group, Inc. (OTCQB: SLMU) a leading edge green energy company, is pleased to announce that it has retained NCP Northland Capital Partners, Inc. (NCP) as the company's investment banker. NCP will assist with the Company's next round of financing, as well as, advise and assist with its needs including transitioning to more senior exchanges such as the NASDAQ and TSX. NCP Northland Capital Partners Inc. (NCP) is an employee-owned securities firm that is a client-focused financial services firm targeting fast-growing companies in the small and mid-cap markets. NCP has completed over $2.2 Billion of funding for its clients. Some of these clients include: New Zealand Energy, Innergex Renewable Energy, Finavera Wind Energy, Nextraction Energy, and AMP Solar Group. Michael Matvieshen, CEO Salamon Group, stated, "We are very pleased with this agreement, NCP employs two of the top rated special situations analysts in the 'Clean Tech' sector and their understanding of our sector will complement our international and global business." Mr. Matvieshen went on to say, "Additionally, because NCP is a full service Investment Bank, they have abilities from arranging funding to sponsor companies in graduating listings to higher exchanges which are important next steps for us." NCP Northland Capital Partners (USA) Inc. ("NCP USA"), a member of FINRA, is an affiliated company to NCP Northland Capital Partners Inc. ("NCP Canada"). NCP USA is head quartered in Toronto and provides U.S. domiciled institutional customers with NCP Canada produced research on Canadian listed issuers in the following areas: mining and resources, industrial and infrastructure, clean technology and technology, telecom and media, and life sciences and special situations. Through NCP Canada's exchange memberships, NCP USA can provide U.S. institutional customers with direct execution of Canadian exchange listed issuers. NCP USA can also provide U.S. institutional customers with new issue and private placement opportunities. ANNAPOLIS, Md. - April 11, 2012 (Investorideas.com renewable energy/green newswire) Clean Wind Energy Tower, Inc. (OTCBB:CWET) (the "Company") announced today that on April 10th, 2012 the City of San Luis, Arizona Planning Commission held a hearing to discuss Clean Wind Energy's application to build an innovative green renewable energy Downdraft Tower Facility within the San Luis City limits. At this hearing the Planning Commission voted in favor of the Downdraft Tower. The San Luis City Council has scheduled a hearing on the Project to be held on May 9th, 2012. The San Luis location incorporates plans for two (2) Downdraft Towers and a component parts Assembly Plant. As designed, the Company anticipates that each Downdraft Tower could generate enough electricity to power up to 1,600,000 homes using the guidelines set forth in the California Statewide Residential Appliance Saturation Study, 2004. As an independent power producer of clean renewable energy, the Company will not be selling power directly to consumers but rather to the grid. The Company believes that San Luis is an ideal location for their alternative energy facility because this region of the southwest United States provides the proper weather profiles, proximity to the power grid, and other ingredients beneficial to the operation of a Downdraft Tower, and has been previously targeted as a prime region for alternative energy projects. The Downdraft Tower is a breakthrough source of clean alternative energy, and will bring significant employment opportunities and economic stimulus to San Luis and a number of U.S. industries. Clean Wind Energy anticipates that during the Downdraft Tower's construction phase, 2,500 construction and transportation jobs and 1,000 manufacturing jobs will be created. Once placed in service, each Tower should generate 1,000 permanent jobs. Clean Wind Energy, Inc., a wholly owned subsidiary of Clean Wind Energy Tower, Inc., has designed and is preparing to develop, and construct large "Downdraft Towers" that use benevolent, non-toxic natural elements to generate electricity and clean water economically by integrating and synthesizing numerous proven as well as emerging technologies. The Company's core objective and focus is to become a provider of clean efficient green energy to the world communities at a reasonable cost without the destructive residuals of fossil fuel, and to help broker the chasm between both, while continuing to generate innovative technological solutions for today and tomorrow's electrical power needs. New York, NY -April 5, 2012 - Investorideas.com renewable energy/green newswire) Investorideas.com, a leader in renewable energy and cleantech stock research, reports on top percentage gainers for the NASDAQ in today’s trading session. Three of the top five are China/ cleantech stocks, posing the question to investors- is this a trend building or just a one day event in the market? China Recycling Energy Corporation (NasdaqGM: CREG) is trading at $2.25, up 0.78(53.17%) 1:18PM EDT on 1.6 million shares. China Recycling Energy is based in Xi'an, China and provides environmentally friendly waste-to-energy technologies to recycle industrial byproducts for steel mills, cement factories and coke plants in China. Byproducts include heat, steam, pressure, and exhaust to generate large amounts of lower-cost electricity and reduce the need for outside electrical sources. Cleantech Solutions International, Inc. (NASDAQ:CLNT) is following up on yesterday’s massive gain of over 150%, trading at$6.74, up 1.07(18.80%) 1:24PM EDT with a day’s high of $8.81. 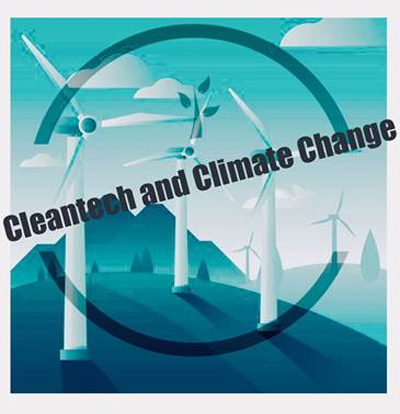 Cleantech Solutions International, Inc. manufactures and sells metal components and assemblies primarily used in clean technology industries in China and internationally.